Founded in 1961 as Magee Office Equipment, today Magee Company is still owned and managed by the Magee family. The primary focus of the Company since inception has been the sale and service of money handling products as well as specialized bank and office related equipment and supplies. Magee Company has sold the MAGNER® line of money counting equipment since 1983. Magner Corporation of America, the supplier, is also owned and managed by the Magee family. The MAGNER® line has become the product of choice for a majority of the money processing customers of not only the Northeast but throughout North America. An experienced staff of product specialists is trained to consult with each customer to ensure they are provided with the right product to meet their needs whether it be a large system or a stand-alone solution. The Company also recognizes that customers essentially perform the same tasks, only their own way. It takes little knowledge to sell someone something to fill a need, but it takes professional knowledge, effort and sincere customer interest to sell the right product for their application. This is where Magee’s experience and expertise benefits the customer the most. Magee’s continued service and support after the sale also guarantee a successful and cost-effective installation for years to come. 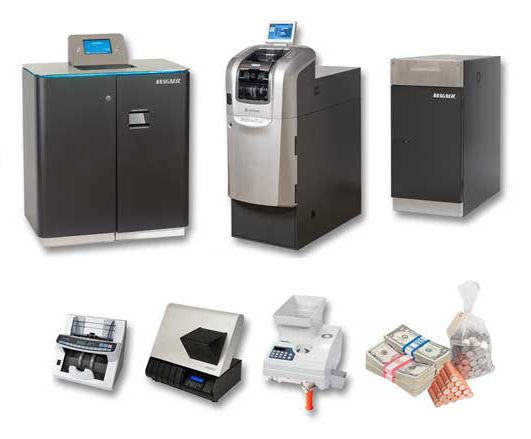 Magee provides nationwide on-site service for a wide range of money handling and office related products. There are approximately 30 Magee service professionals directly supporting the Northeast and a network of dealers throughout the United States and Canada insuring quality and consistent service nationwide. All service calls are placed through our Customer Service Center in Middlefield, Connecticut, with one phone number for both software and hardware service calls. The center is operational 24 hours a day, 365 days a year, including holidays, through our computerized central dispatch site which tracks each call. Our Customer Engineers are supported with repair parts, diagnostics, documentation, training, and technical back up for the growing number of products supported. In addition, our Customer Engineers are A+ certified. A+ Certified professionals are a distinguished group of service and support technicians who have attained a high level of training. Thank you for your interest in Magee Company. We would appreciate hearing from you with any comments or questions.